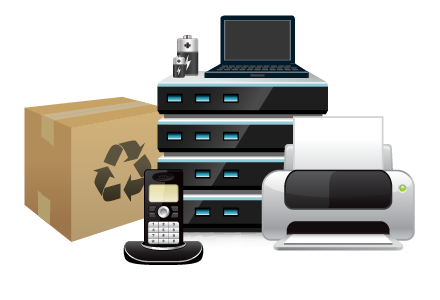 Pronounced (few·er \ ˈfyü-ər) our company offers electronic recycling for both residential and commercial clients. Public drop-offs are always welcome and commercial pickup is available by request. Effective October 1, 2018 FEW.R Corp will be closed for processing. We greatly appreciate your patience and respectfully ask for your understanding that we CANNOT accept ANY material during this processing period. Please check back soon for our new Winter hours and updated requirements to be eligible for our services. From old PC's and Laptops to Hard drives, Flat panel/LCD/LED monitors and old cellphones. FEW.R takes in a large variety of used electronics for recycling and processing. $20.00 per unit larger than 27″. Cash or Corporate Check only, made out to New Leaf Refining. **Any CRT type TV or Computer Monitor that has cut power cords, been tampered with or units with cracked screens will be refused, thank you. CURRENTLY FEW.R CORP IS NOT ACCEPTING ANY MATERIAL AT THIS TIME.